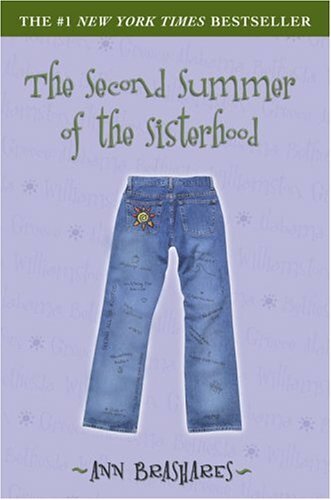 The Second Summer of the Sisterhood ***SIGNED*** ***ADVANCE READING COPY*** by Ann Brashares: Delacorte Press, NY 9780385729345 Soft Cover, First Edition., Signed by Author on Full Title Page - William Ross, Jr.
Can't wait for the next installment of the Pants? Check out the SPECIAL EDITION of The Second Summer of the Sisterhood, in stores now! Inside you'll find an exclusive "Who's Your Soul Mate Quiz" and a sneak peak at the third book, Girls in Pants. Teens who loved Ann Brashares's The Sisterhood of the Traveling Pants (2001) will cheer its equally riveting sequel The Second Summer of the Sisterhood. As in the first novel, four teen girls who have known each other since birth (their moms shared a pregnancy aerobics class) further forge their bond of friendship through a pair of thrift-store jeans that magically, impossibly, fits them all perfectly. Like the summer before, Carmen, Bridget, Tibby, and Lena share their individual adventures with the Pants collective, creating an engaging, kaleidoscopic narrative of four voices. This summer, Tibby attends a film program in Virginia and Bridget (Bee), whose mother has died, impulsively jets off to Alabama to get reacquainted with her estranged grandmother. Lovely Lena tries to protect herself from the heartbreak of loving her long-distance Greek god boyfriend Kostos, and Carmen deals (poorly) with her mother dating again and having the nerve to borrow the Pants!